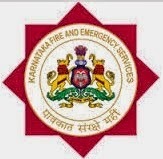 Karnataka State Fire & Emergency Services Recruitment 2015 – 1772 Fireman Driver & Fireman Posts:- Karnataka State Fire & Emergency Services (KSFES) has published latest notification for filling up 1772 posts of Fireman, Fireman Driver, Driver Mechanic. Desirous & eligible candidates can apply online from 06/03/2015 to 05/04/2015. Driver Mechanic : SSLC/ 10th class with ITI in Mechanic (Diesel, Tractor, Motor Vehicle). Application Procedure: Eligible candidates may apply online through the website http://www.ksfesonline.in from 06/03/2015 to 05/04/2015. Karnataka State Fire & Emergency Services (KSFES) has released latest notification for filling up 87 posts of Fire Station Officer. Desirous & eligible candidates can apply online from 06/03/2015 to 05/04/2015. Educational Qualification: Degree in Science with Chemistry as one of the subject from recognized university. Application Procedure : Eligible candidates may apply online through the website http://www.ksfesonline.in on or before 05/04/2015. Subscribe our free job alert mail for Karnataka State Fire & Emergency Services Recruitment 2015.